Note: This story originally appeared in the Alaska Dispatch News. I was on the phone last week with a writer from back East who wanted all my best tips for exploring the Last Frontier with young people. Imagine her surprise when I responded with, “Go to the local playground. Kids can learn about wildlife when a moose wanders across the parking lot or soccer field. Sometimes, they’ll even get to stare at a swooping bald eagle — something playgrounds in Akron or Albany don’t offer. I even outlined my favorite grilled salmon recipe to a visiting dad who whipped out a tablet and typed all the steps so he’d have it ready for the fish he hoped to catch on the Kenai Peninsula. Playgrounds are gathering spaces where kids connect without the confines of an organized tour or crowded family schedule and parents can breathe a sigh of relief that their youngsters are amused on their own terms for a while. 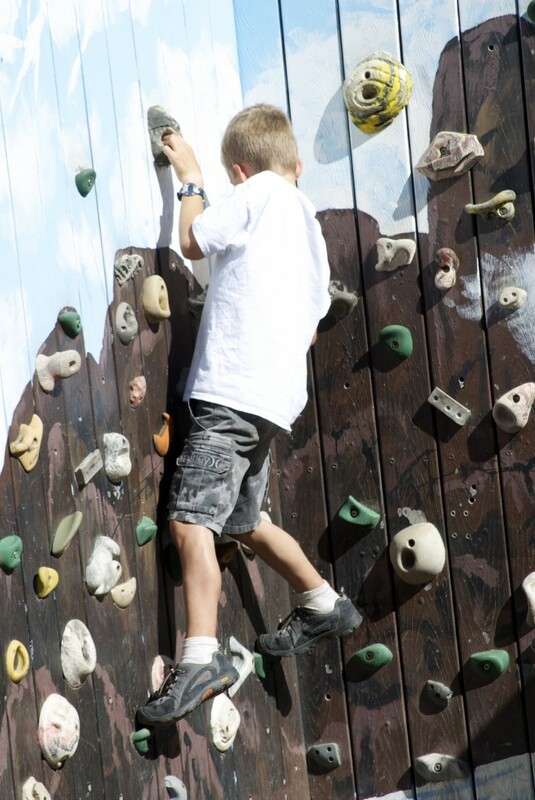 Alaska summers are so packed with good fun that it can be hard for all of us to remember that children need time to be themselves, in a space designed specifically for them — without grownups directing their every move. A 2014 study by the University of Colorado found that free play opportunities —unscheduled, spontaneous, free-thinking times — provide a wealth of benefits to a child’s social skills, and emotional maturity. The inherent value of play, with its daydreaming, risk-taking, and discovery, is no more important than on a trip to someplace new. 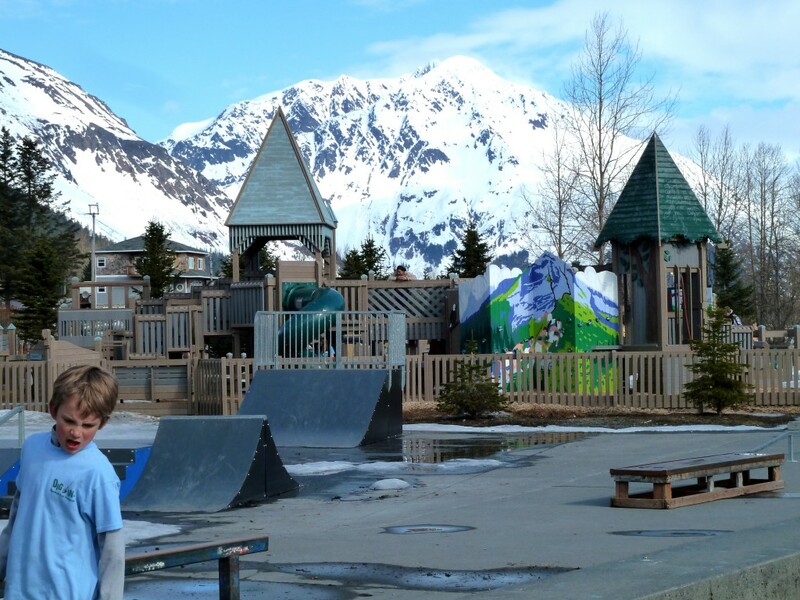 During most of our wanderings in and out of Alaska, we gravitate to playgrounds. It’s a chance for our son to hang with other kids and for my husband and I to take stock of our adventures. Often we’ll stop by a local store and picnic while we play, giving us the mental and physical energy to carry on the rest of the day. I’ll chat up the other parents, too, asking about their favorite places for family-friendly activities, and I’ve never been disappointed with the results. Today’s playgrounds are far more intricate than the metal-and-wood structures that made our parents gasp in terror as we hung upside down from the monkey bars. Often the result of community efforts, many are constructed with design involvement of kids and sweat equity of an entire town, showcasing history, industry, or natural features that speak to the uniqueness of each place. 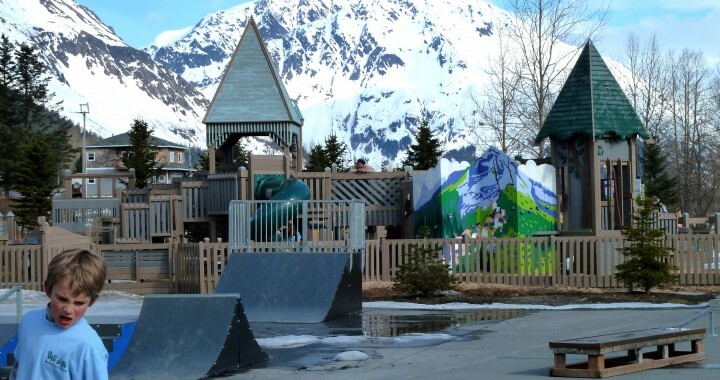 Considered the crowning jewel of a community, these playgrounds are destinations unto themselves — must-see attractions right up there with the whales and glaciers. Kyle Cundy, project manager for Leathers and Associates, a company with offices in New York and Florida that oversaw the planning and construction of 10 such Alaska playgrounds, says her favorite part of 25 years on the job has been witnessing the spirit of collective cooperation by young and young-at-heart. We have climbed a wall with a painted backdrop of Denali in Talkeetna; clamored over boulders and up a net in Homer; dug in the dirt in Girdwood, and driven a wooden car in Haines. At each different playground, our family has learned a little more about who lives, works, and plays there. And that is as worthwhile a goal for family travel as I’ve ever found. 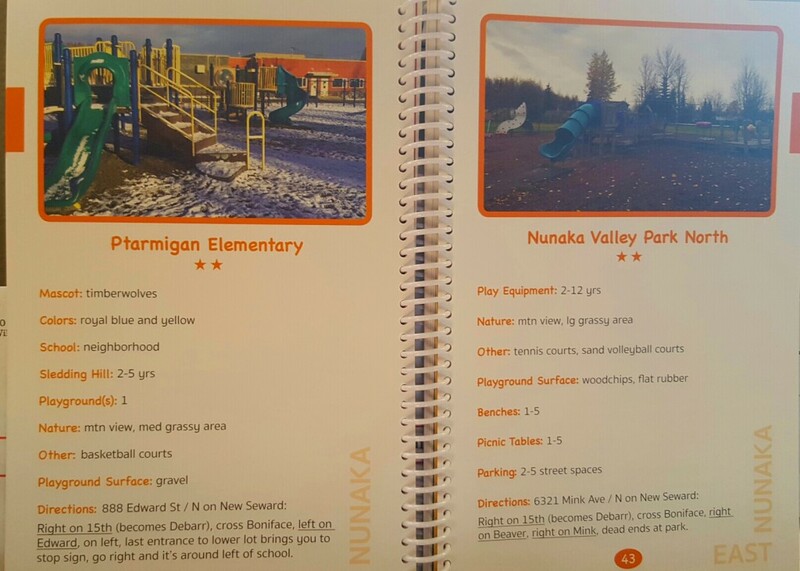 Each of the 133 Anchorage playgrounds listed has a simple and easy-to-follow matrix of information. Girdwood: Girdwood Park at the intersection of Alyeska Highway and Egloff Drive. Seward: Seward Community Playground located along Ballaine Avenue and the waterfront trail. Nikiski: Kenai Peninsula Borough Nikiski Community Playground near the Nikiski Community Center, Mile 23.4 of the Kenai Spur Highway. 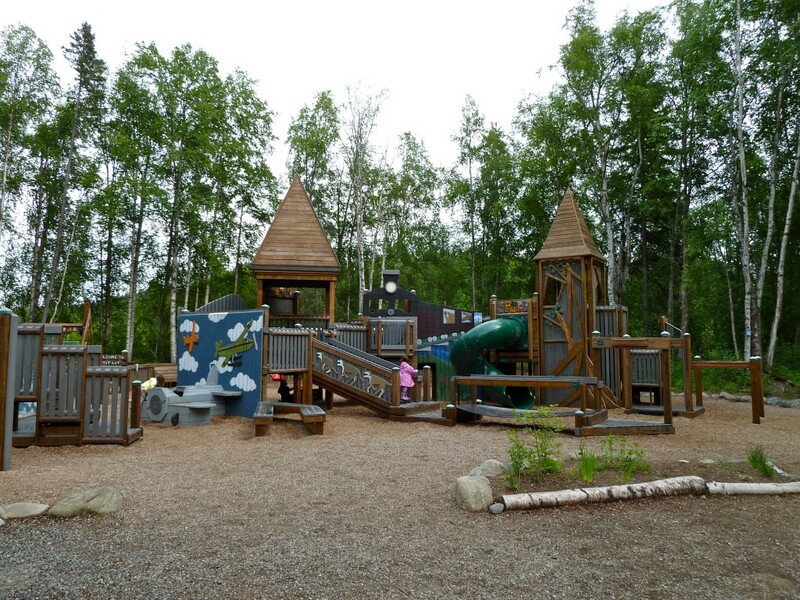 Soldotna: Soltotna Community Playground located in Soldotna Creek Park, 251 States Avenue. Homer: Karen Hornaday Park, located on West Fairview Avenue above downtown. Also offers a campground. Valdez: Hermon Hutchens Elementary School, 951 West Klutina. 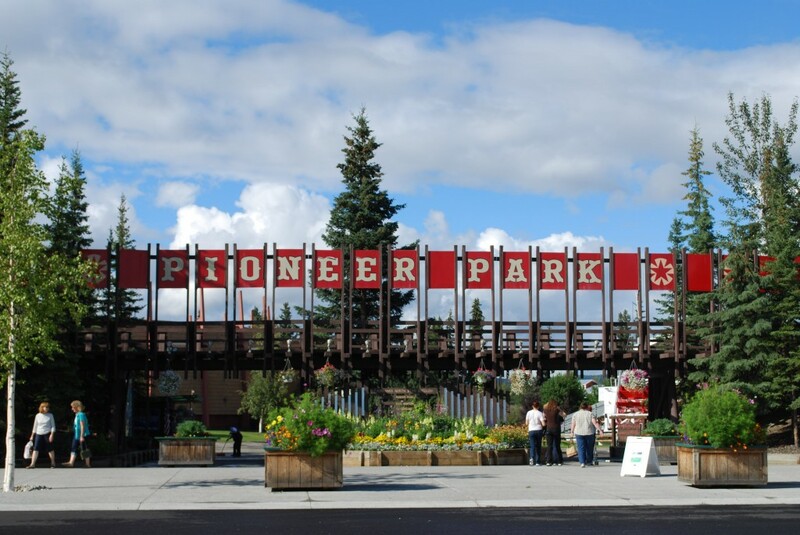 Fairbanks: Pioneer Park, 2300 Airport Way. Multiple play spaces, a small train and various vendors, including the Pioneer Air Museum. Haines: Tlingit Park, Haines Highway Cutoff (near downtown). 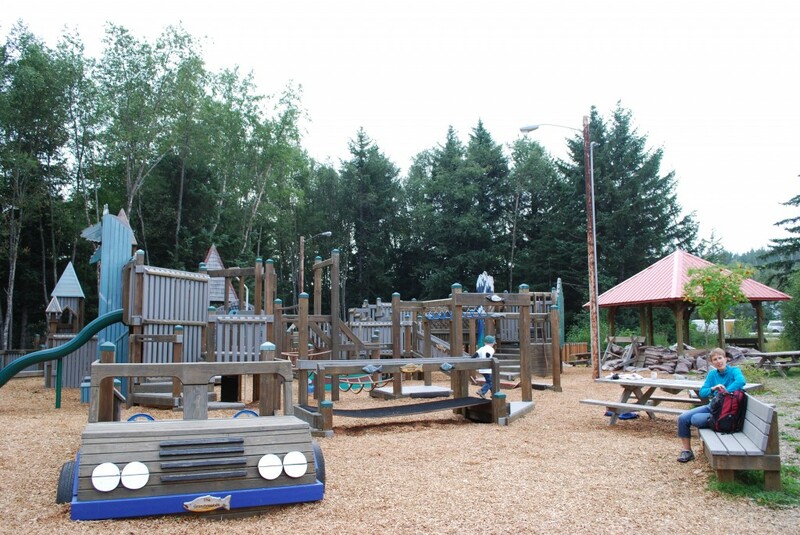 Sitka: An effort is underway by the Sitka Community Playground Volunteer Group to raise funds to complete a new, accessible playground in Crescent Harbor Park near downtown’s Sea Walk. 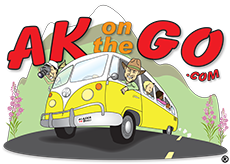 Posted in Cultural opportunities, Life in Alaska and tagged Alaska, Alaska with Kids, Fairbanks, Family Travel, Girdwood, Haines, Homer, Juneau, playgrounds, Seward, Sitka, Soldotna, Sutton, Talkeetna, Valdez.